The Lonely Planet guide to South-America says pretty clearly to skip Barranquilla because is too dangerous, too dusty and uninteresting. But in the city of world-famous Shakira, Salsa music is more popular than anything else and if you’re a Salsa lover would be a terrible mistake not to stop for a weekend here!! 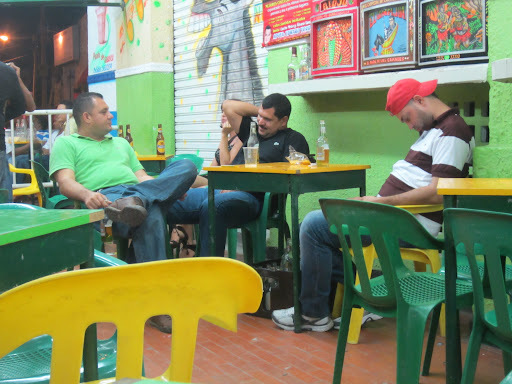 The Barranquilla I found is a big city going under a massive renovation, filled with very proud people ready to party anytime and not accostumed to tourists. 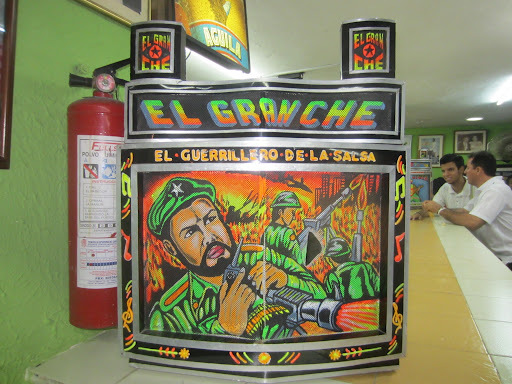 In Barranquilla I visited (and re-visited the day after) one of the best Salsoteca I found so far: La Troja. As funny as the name sounds for an Italian, the place was awesome. 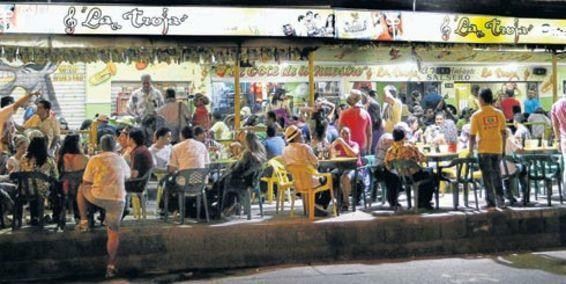 The music, busting in the streets between carrera 44 and calle 74, could be heard hundreds meters away making very easy to find this place. Once there, I found the most happy, friendly and party-like atmosphere. Locals listening good music, drinking the night away with agua ardiente bottles, dancing a bit, and even playing, as there were folks there with caw bells, claves and maracas! This cultural center (yes, is not a club!) 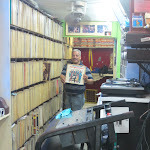 is the temple of Salsa in Barranquilla, a real celebration of the good Salsa music playing from an impressive Salsa selection of 10.000 LPs and 2.600 CDs, from the very old school Salsa till the latest hits – and on Sundays afternoons they even show videos and discuss about Salsa artists! 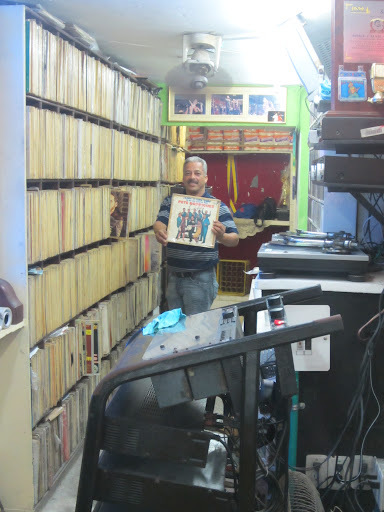 I asked at the bar if I could take pictures of the place, and they showed me the huge music collection and introduce me the DJ… that soon after announce me at the microphone as a special guest from Italy! Bacano!! 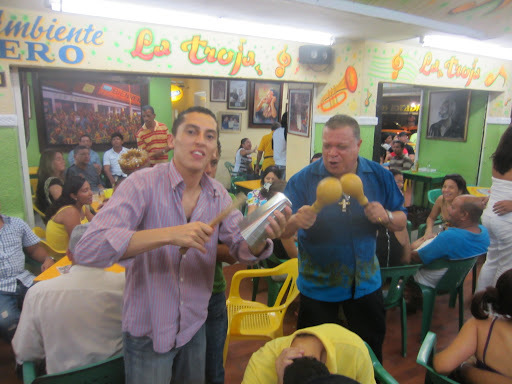 As for the other places so far, also Barranquilla has the best music available but a dance culture very easy going. No spins, no cool moves, no shines. Just easy steps and lots of sabor for everyone to enjoy! 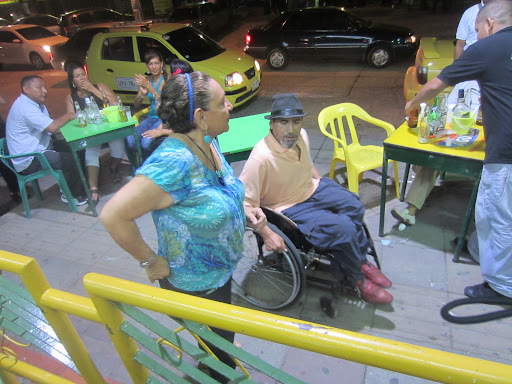 People told me that there are good Salsotecas also in calle 8, but everyone warned me that the area is more dangerous and people not so nice, so I decided not to check that out… anyone knows something about other Salsa clubs in Barranquilla? Joe Arroyo is not only popular in Cartagena. As I said already, it’s so popular all around Colombia that they even have a soap opera based on the life adventures of “El Joe”, broadcasted daily on a main TV channel! 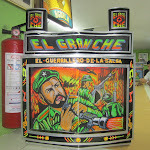 And the most popular Salsa song here is exactly from el Joe: “En Barranquilla me quedo”, that means “I stay in Barranquilla” is the perfect song for the Barranquilleros that are proud people, very in love with their own city and their costeno culture. It’s no doubt that here Joe Arroyo, Fruko y Sus Tesos and Latin Brothers are more popular than Shakira! 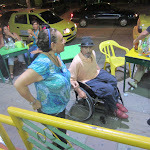 Here is the video of this song, a real tribute to Barranquilla in the heart of all its citizen.